The Harper government and oilsands producers hailed the European Commission's decision in October that would have meant Canadian oil would not be penalized for being more emissions-intensive than conventional oil. 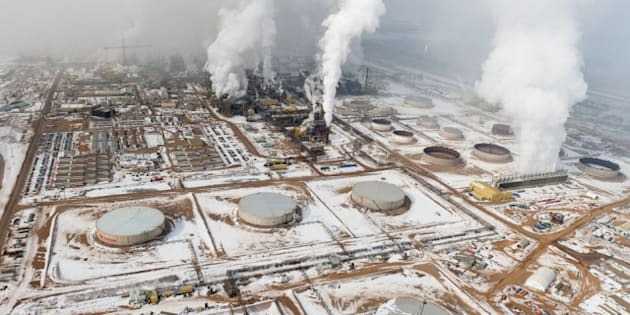 But now the EU’s seemingly abandoned plan to label oilsands product as dirty oil has come back to life — or, at the very least, it has failed to die the death that Canada's oil industry and the Harper government had hoped for. Lawmakers on the European Parliament’s environment committee this week voted down the changes proposed in October, jeopardizing the new, "oilsands-friendly" rules. Under plans drawn up in 2011, EU oil importers would be required to count oilsands product as being some 22 per cent more carbon-intensive than conventional oil. Other types of non-conventional fuels, such as shale oil, would also be counted as having higher emissions. Importers buying oil from Canada would therefore find it harder to meet emissions standards, and would likely avoid buying oilsands product. But after pressure from the energy industry and what one European official called an “immense” lobbying campaign by the Harper government, the EU appeared ready to drop the reporting rules for different types of oil and treat all oil sources equally. But the new plan was fiercely opposed by parliamentarians on the EU’s environment committee, some of whom urged their colleagues to fight back against “external pressures” to abandon the dirty oil rule. But industry lobby group FuelsEurope panned the decision, saying it would “create huge uncertainty for the hundreds of European fuels suppliers” as it means the EU may have to go back to the drawing board and start over on fuel reporting regulations. That's not a certainty: The environment committee's veto on the new, oilsands-friendly rules will have to be repeated by the full European Parliament in order for the plan to be dead. Canadian officials and industry insiders took an optimistic view following the committee vote. Greg Stringham of the Canadian Association of Petroleum Producers told the Financial Post he's confident the oilsands-friendly regulations will pass the European Parliament. Though political opposition to Canada’s oilsands has been fierce in Europe, the issue took on a new light earlier this year when armed conflict broke out between Russia and Ukraine, straining Russian-European relations. Russia is the largest supplier of oil and gas to Europe. Since the start of the Ukrainian conflict, policymakers have been looking for strategies to wean Europe off Russian oil, providing a new opportunity for Canadian oil importers. “Dirty” label or not, oilsands product has started making its way to Europe. The first shipment of oilsands product arrived in Spain this past May, and other shipments have followed.